Abstract floral oil color painting. 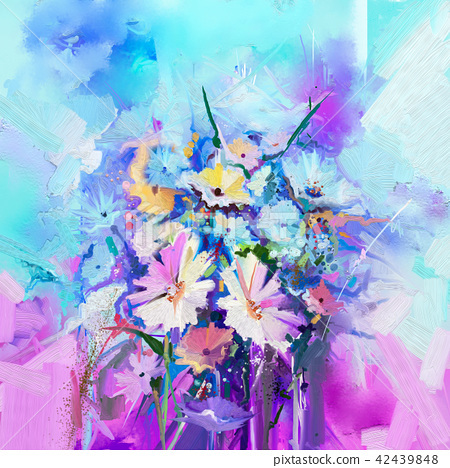 图库插图: Abstract floral oil color painting. Abstract floral oil color painting. Hand painted Yellow and white flowers in soft color. Flower paintings on green blue and red color background. Spring flower seasonal nature background.